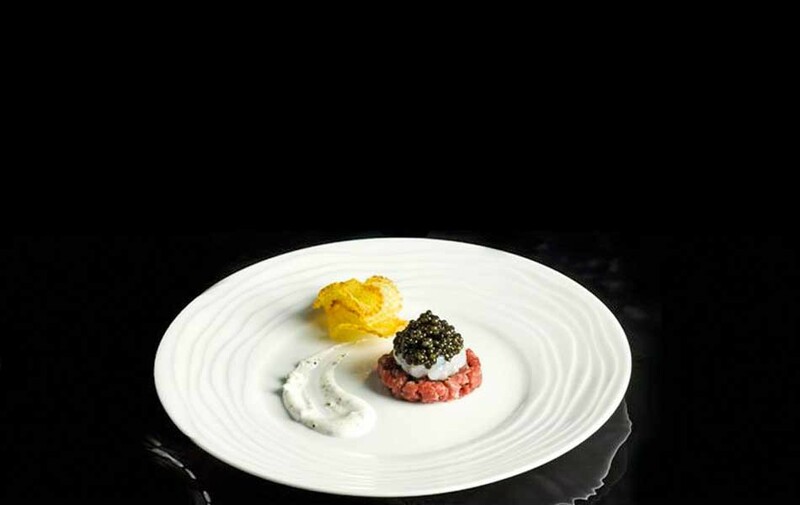 Le Bernardin, New York’s internationally acclaimed four star seafood restaurant, was born in Paris in 1972 by sibling duo Maguy and Gilbert Le Coze. Dedicated entirely to the cuisine of Gilbert Le Coze, the self-taught seafood wizard, it only served fish: Fresh, simple and prepared with respect. Le Bernardin was named after an order of monks who liked to eat and drink and a song about the monks that Gabriel Le Coze, Maguy’s and Gilbert’s father, kept singing to them. The dual combination of Gilbert’s new cooking techniques—unheard of in the Haute Cuisine-obsessed salons of Paris’ better restaurants in the early seventies—with Maguy’s energy and drive in the dining room propelled Le Bernardin to one Michelin star in 1976. Considering that Le Bernardin was opened on a shoestring budget with Maguy’s and Gilbert’s parents helping out in the kitchen as the only employees on opening night, the Michelin accolades were an incredible accomplishment.